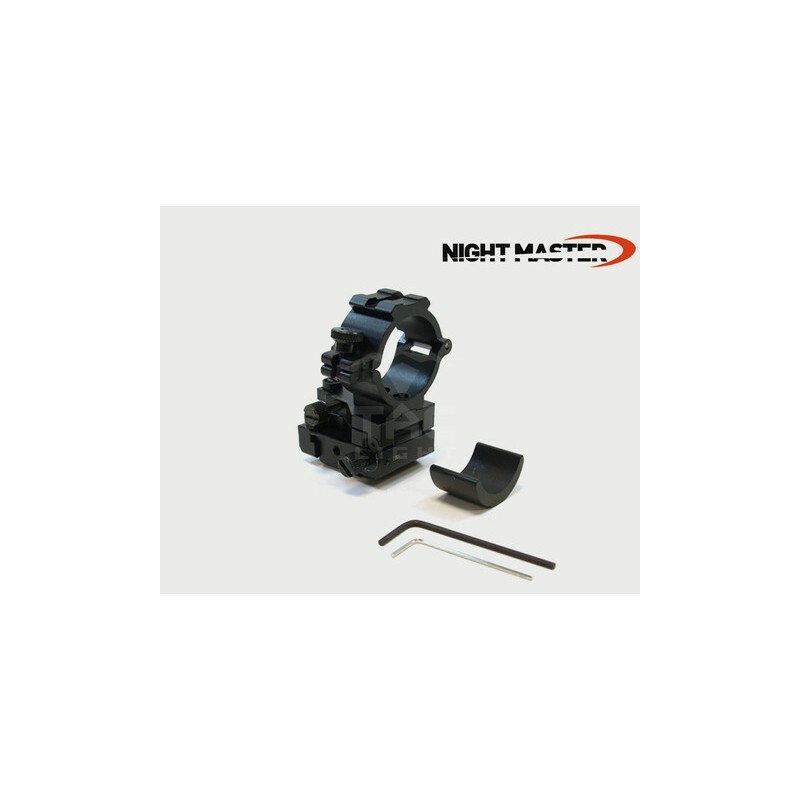 This quick detach (QD) rail mount offers both windage and elevation adjustment and a lock function to secure your particular settings. It will fit both a 30mm and 1-inch tube (with supplied spacer). This quick detach (QD) rail mount offers both windage and elevation adjustment and a lock function to secure your particular settings. It will fit both a 30mm and 1-inch tube (with supplied spacer). 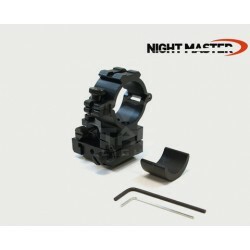 This QD mount very popular for use with the Night Master 800-IR infrared illuminator and the Pulsar N550/ N750 night vision device as it allows the user to adjust the beam for their shooting distance. 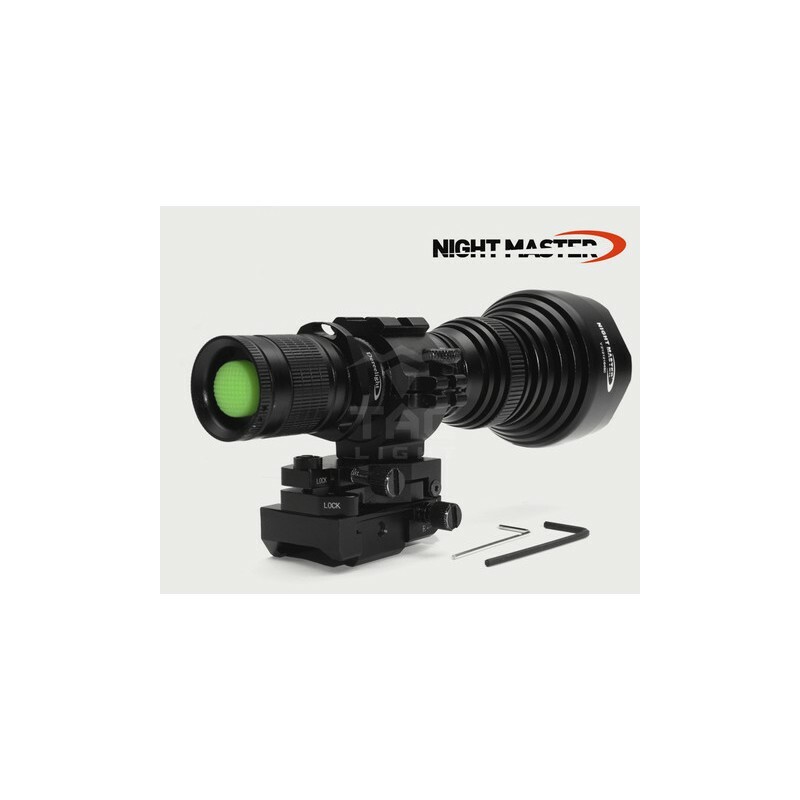 It is suitable for rifles/ guns and night vision devices with rails.